Czechs will vote in a divisive presidential election starting Friday, seen as a test for the country increasingly split between the anti-Muslim, pro-Russian views of incumbent Milos Zeman and more liberal currents. The 73-year-old former communist Zeman is hoping to beat eight other contenders to clinch a second five-year term after his 2013 win in the EU member's first-ever direct presidential vote. But although polls show him in pole position, the outspoken head of state is unlikely to win an outright majority and may face a run-off round in two weeks. Jiri Drahos, his most likely opponent in the duel, could not be more different. A liberal centrist, the 68-year-old former head of the Czech Academy of Sciences is staunchly pro-European and has called for Prague to "play a more active role in the EU". Zeman echoes other populist-minded eastern EU leaders -- especially in Hungary and Poland -- at odds with Brussels over mandatory refugee quotas and various rules they see as attempts by Brussels to limit national sovereignty. He also has harsh anti-Muslim views, having once called the 2015 migrant crisis "an organised invasion" of Europe and insisted Muslims were "impossible to integrate". Paradoxically, the country of 10.6 million people has received only 12 migrants under the EU quota system. "The vote shows a broader conflict, it shows how society is polarised," independent political analyst Jiri Pehe told AFP. "It is a clash between... the post-communist part of society represented by Zeman and the other part, say, modern, pro-Western, which simply doesn't want this president any more." A January survey commissioned by Czech Television showed Zeman losing a run-off to Drahos, who beat him with 48.5 percent to 44 percent. No matter who wins, the next president will find himself battling a political crisis with roots in last year's general election. Analysts note that a Drahos victory could upset government-building measures by the populist ANO movement of billionaire Andrej Babis, a Zeman ally who won the October 2017 ballot. ANO topped the vote, scoring 78 of 200 parliamentary seats campaigning on an anti-corruption and anti-euro ticket. But the controversial tycoon, who is himself facing police charges over EU funding fraud, has found it impossible to form a majority government after being tapped prime minister by Zeman. Babis appeared set to lose a parliamentary confidence vote scheduled for January 16. Under the constitution, the president has another attempt and Zeman said he would tap Babis again, should he fail to win confidence. 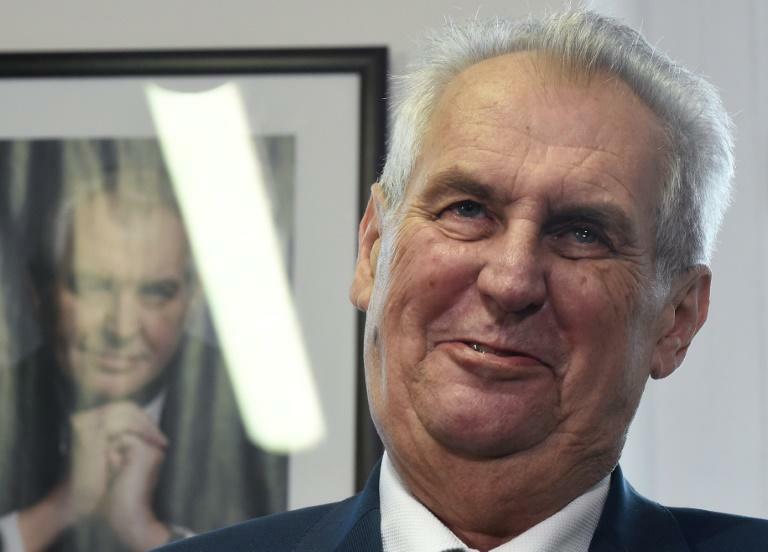 Pehe said Zeman's victory might "pave the way for a deeper alliance with Andrej Babis, which could lead to a change in some basic parameters of liberal democracy in the country". But the situation could change dramatically if Drahos wins. "Drahos has made it very clear that a prosecuted man should not be prime minister," Pehe said. While Zeman vowed to unite society, his political views have done the opposite. In China last year, Zeman told his ally Russian President Vladimir Putin that journalists should be "liquidated". He was also caught on camera verbally threatening to kill a cameraman at the Council of Europe headquarters in Strasbourg in October. Zeman has stayed out of all election debates, saying he did not want to attack his rivals. But Josef Mlejnek, a political analyst at Charles University in Prague, told AFP he believes that "poor health" was the chief reason, as the president suffers from diabetes-induced neuropathy. Doctors have forced Zeman to curb smoking and drinking, but voters will recall him staggering during a ceremony at Prague Castle shortly after taking office. And yet, his supporters remain faithful, lavishing praise on the man who beat aristocrat Karel Schwarzenberg in the 2013 run-off. "If you want to save this country against Muslims, vote Zeman!" voter Marie Kubikova wrote on Facebook. Zeman's other rivals include ex-gambler and songwriter Michal Horacek, former rightwing premier Mirek Topolanek, and Vratislav Kulhanek, former head of Czech carmaker Skoda Auto. Polling stations open at 1300 GMT on Friday and close at 2100 before reopening at 0700 GMT and closing at 1300 on Saturday.